shibaa987 8 months, 4 weeks ago. This post guides you on how to create a scatter file of a Mediatek Phone. This Mediatek scatter create guide is newbie friendly, of course, that’s the way I write every post. Before going to follow anything on this post you may want to spare few minutes to understand what is a Mediatek Scatter file, where this scatter file is used or required or why do you need to create a scatter file on your Mediatek phone and of course, how to create a scatter file of your Mediatek device. If you already know everything, then you can skip intro sections and move to create Mediatek Scatter file. In the later part I will provide all the download links to the required software and/or other relevant guides. This guide is ONLY meant for Mediatek devices. I take no responsibility if you do something wrong on your part while following this guide to create a Scatter file for Mediatek Phone. We don’t really require everything to know before operating or using a phone. But if you do understand or willing to understand how software and hardware works on a device, for our case it is a Mediatek device, that will help you play with the device for good (or sometimes break the device). It is important to understand about Android because this scatter file creation of a Mediatek phone or any other Mediatek device is more or less is in context with Android OS. Android is an Operating System software that controls the hardware and provides interface for the user to interact with the device. Android OS has different partitions such as system partition, data partition, boot partition, recovery partition, bootloader partition etc. Different software is written into different partitions and is accessed at different time. 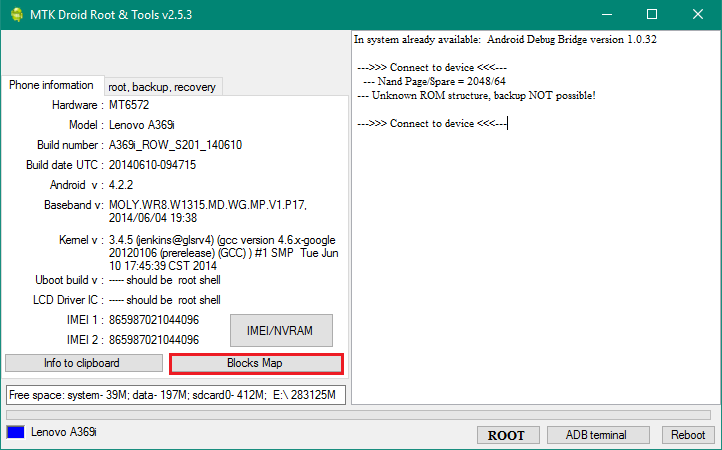 Such as recovery partition is accessed when the phone enters into recovery mode, bootloader partition is accessed when the phone enters into bootloader mode, etc. 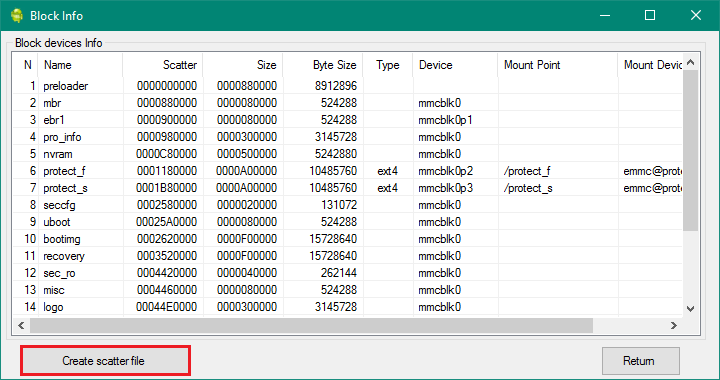 A Mediatek Scatter file is a file that keeps all the information of these partitions’ start address, end address, size of the partition, which storage device it belongs to, etc. This information is required before you flash let’s say a TWRP recovery into recovery partition or a modified boot image into the boot partition or a new custom ROM that will go into the system partition etc. Following is a screenshot from Droid MTK Tool software that shows different partition information of a Mediatek Phone. Now you know what is a scatter file on a Mediatke phone and what information it contains. I believe you have also understood that the Mediatek scatter file creation is important to flash a TWRP recovery or any custom ROM such as LineageOS ROM, Resurrection Remix ROM, Dirty Unicorns ROM, OmniROM etc. This guide need the Droid MTK Tool for which I have already provided a download link in the downloads section above. With the help of Droid MTK Tool we will create the scatter file of your Mediatek phone. Enable USB Debugging under Developer Options, to make the device accessible via ADB. On the next screen you have all the partition information and starting address of all the partitions. – Click on the button to create scatter file for your Mediatek phone. Save the file in a location which you can remember and access easily. If you have followed each step, I believe you would have the scatter file for your Mediatek Phone. If you have any problem even after following this guide then do leave a reply. Either me, or some other user of this forum will get back to you. Further, stay tuned to the Mediatek Development forum for more information on any Mediatek specific hacking, unlocking or development guides etc.